To what extent does your environment define who you end up becoming? 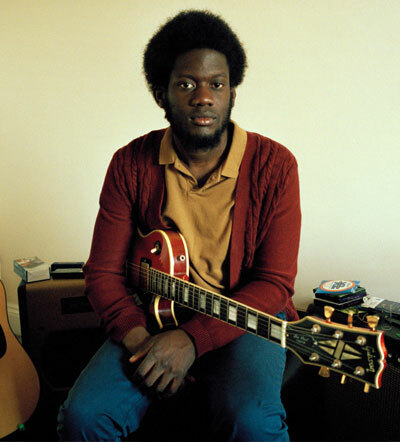 In the case of Michael Kiwanuka, this extent would be large. The British folk-soul-jazz singer/songwriter, who is in his mid-twenties, is a product of the affluent Muswell Hill neighborhood in North London, by way of Ugandan parents. He sounds, however, like he’s a senior citizen who grew up in the bowels of Middle America. Terry Callier, Marvin Gaye, Bill Withers, these are some of the names being thrown around when speaking about Kiwanuka’s debut full-length Home Again. Brushed drums, super-crisp strings, and immaculate woodwinds are the ingredients in the concoction that is Home Again. Over-polished to perfection under the Band Of Bees’ Paul Butler’s production chops Kiwanuka’s vintage tones deliver primarily neutral sentiments far away from the pain and suffering of his main vocal idol, Otis Redding. But then, Muswell Hill doesn’t give you a lot to worry about. It does, however, give you a lot of rope to experience different kinds of music. “Muswell Hill is a middle class, predominantly white area,” says the ever-affable Kiwanuka. “What I would listen to would be different if I grew up somewhere else. I don’t know if I would ever listen to Dylan or the Beatles if I grew up in Hackney in East London.